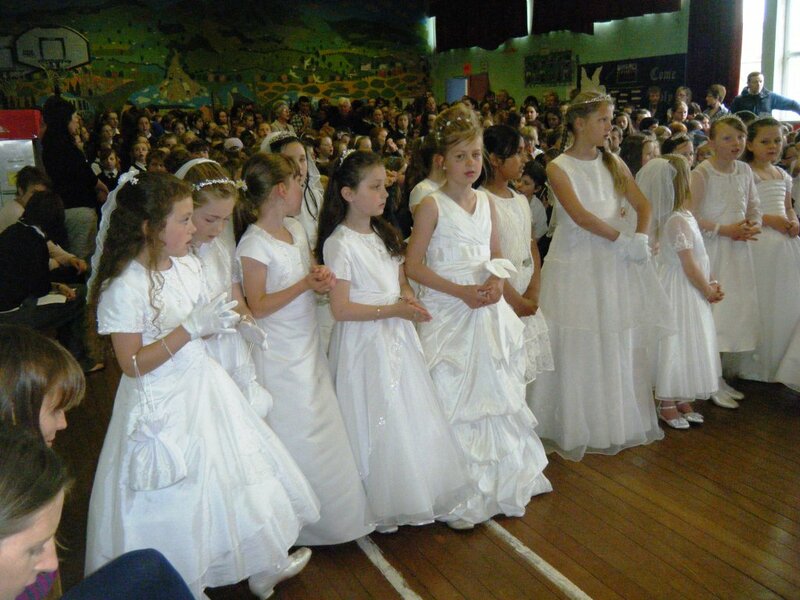 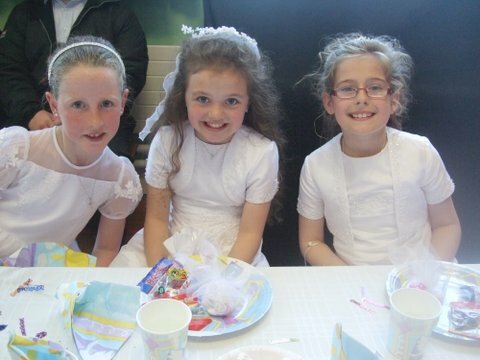 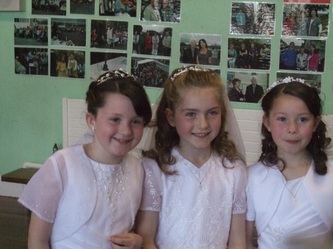 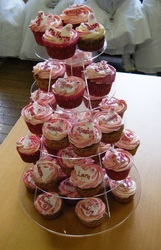 The girls and boys from 2nd class made their First Holy Communion this year on 26th May. 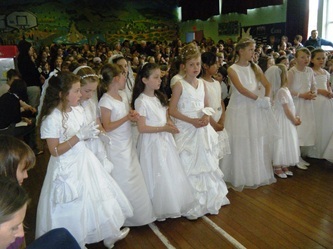 They spent a lot of time preparing for this special event with their teachers Ms Watson and Mr Clancy. 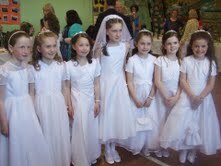 They all had a very special day. The mass was beautiful especially with the choir from 3rd and 4th class. 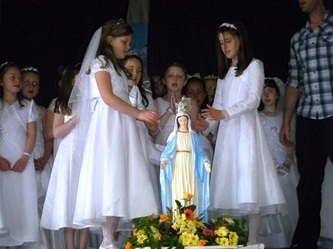 Thank you to Ms Hayes, Ms Watson, Ms Sheehan and Ms Kirwan for the music and to Fr Fitzgerald for celebrating the mass. 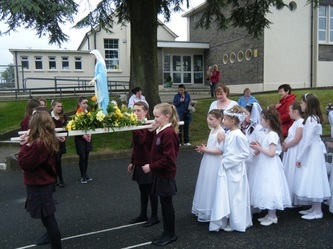 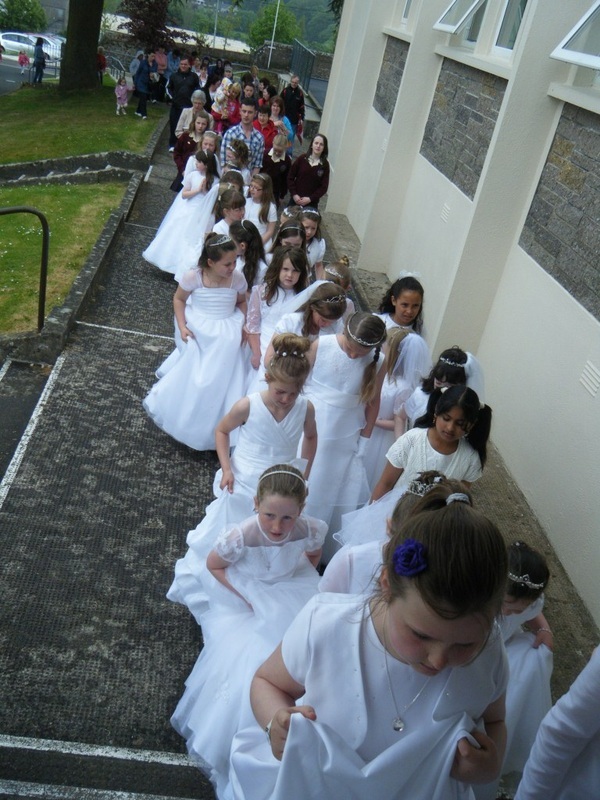 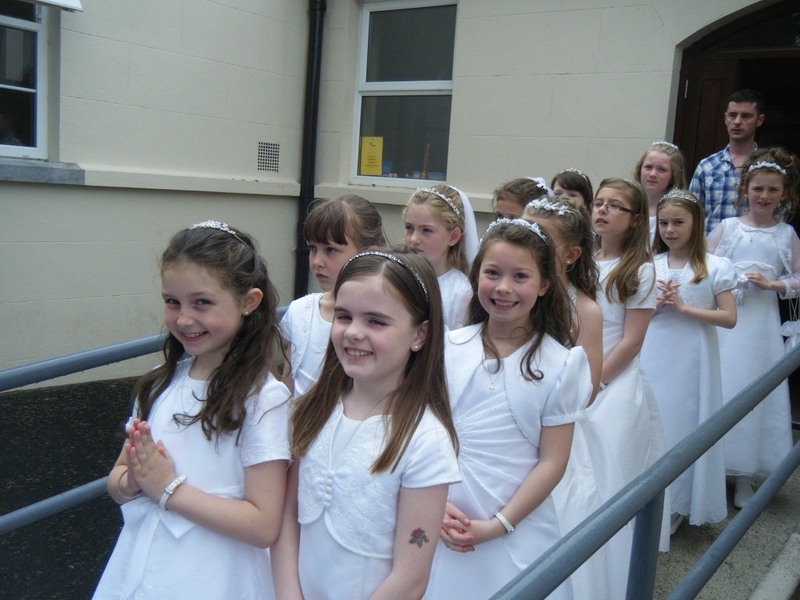 The traditional May procession was held on Monday following the First Holy Communion. Unfortunately this year the rain meant that the majority of the event was held in the halla.